The vitamin/mineral supplements we sell are of superior quality and easier for the body to absorb than most supplements sold in stores. They can only be sold by a doctor, which ensures both quality and safety of this product. Our vitamins sell for $60, which is a two month supply. Even if you eat a completely healthy diet with lots of organic food, taking a vitamin/mineral supplement is essential in today’s times to ensure you are getting all major nutrients. Biofreeze is a form of cryotherapy we sell that helps to reduce inflammation in muscles and joints. It provides temporary pain relief of achey muscles and joints, and helps with occasional arthritis flare ups. We sell biofreeze for $15. 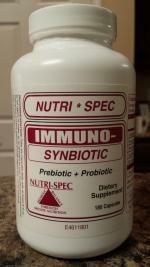 Probiotics are the good bacteria needed in a healthy gut. Did you know that over 70% of your immune system comes from having a healthy gut, with a lot of good bacteria? Everyone should do a round of probiotics for one month every year to replenish healthy bacteria, even if you do not suffer from any digestive problems. You should definitely take probiotics after a round of antibiotics, or if you suffer from any chronic or acute digestive problems like diverticulitis, irritable bowel, Chrohn’s disease, celiac disease, acid reflux, GERD, or H. pylori, just to name a few. 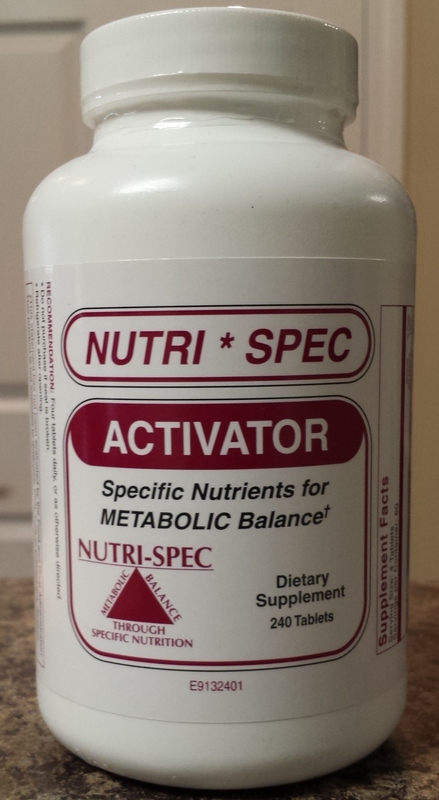 We sell our probiotics for $30. a bottle. We sell Tri-Core brand cervical pillows. We carry three different types, depending on your size. We have child’s size, mid-core size for smaller adults, and adults with a short neck, and the original tri-core pillow for average to larger adults, or adults with a longer neck. Our pillows sell for $50. If you can recall when we went over your x-rays, if we explained that you have a loss of the normal curve in your neck, then you should sleep on a cervical pillow to help reinforce a normal curve in your neck. Also, the average lifespan of a pillow is three years, so if your pillow is older than that, consider replacing it with one that will support your neck properly. Don’t forget, pillows make great presents, too! Lumbar pillows come in handy if you have a sit down job, or work at a desk frequently. These pillows sit against the back of your desk chair and offer proper support for the lumbar spine, by helping to recreate a more normal lumbar curve. This type of pillow can also be used when sitting in a straight-backed chair, like a kitchen chair. Some of our patients have used this pillow in their car for extra lumbar support, but there are pillows we can order that are specifically designed for autos. We sell our lumbar pillows for $40. We sell high quality reusable ice packs for $20. Keeping an ice pack in your freezer is a must. You never know when an injury may occur. Plus, ice packs can be multi-purpose. They work great in a small cooler to keep food and drinks cold. We also carry Greens First. This is a wonderful way to incorporate more fruits and vegetables in your diet. One 8ounce glass of water is transformed with one scoop of Greens First into an incredibly nutritious, tasty drink containing 15 servings of organic fruits and vegetables. The real purpose of this drink is to return your body to a more alkaline state, which is the pH range that a healthy body functions best in. Most people’s bodies become increasingly acidic as we age due to eating too much meat, fried foods, sugary foods, and processed foods. The acidity in our body shows itself in the form of aches and pains, arthritis, fatigue, sickness, and eventually disease. You can reverse the affects of acidity on your body with Greens First. We sell a one month supply (one canister) for $45. Ear candles help draw ear wax out of your ears, and help to open your sinuses, relieving both sinus pressure and headaches. Ear candles can also help improve your hearing, and can draw an ear infection out of your ear. If you have never done ear candling, it is definitely worth trying. The manufacturer suggests using 3 candles per ear the first time you use ear candles, then, repeat the ear candling process at least every 6 months. We sell ear candles 2 for $7. Another great product we started selling the Strassburg Sock. This sock has been proven to eliminate the pain associated with plantar fasciitis in as little as 18 days. The sock gets worn each night to bed, and it draws your toes into flexion, slightly, which stretches the tendons on the bottom of the foot while you sleep. This sock sells for $40. The newest product we started selling is Herbal Cleanse First, from the makers of Greens First. There are so many reasons to do a cleanse. If you ever eat processed food, you should cleanse at least twice a year. (This is most of us.) If you are about to start an exercise program or lose weight, you should do a cleanse. Toxins are stored in your fat cells, and when you burn fat, you release those toxins into your body. Get rid of the toxins first with a cleanse! This product is a 7 day cleanse, and is very gentle. It sells for $30. If there is ever a product you may want to try, we can order practically any therapeutic device manufactured. We carry several different catalogs, so let us know if we can help you in any way.